Sydney galloper Happy Clapper is a force over the famed Randwick mile and gets an opportunity to try to add a feature win over the same distance at Flemington in the Makybe Diva Stakes. But trainer Pat Webster is wary of the outside barrier draw for his stable star in Saturday’s weight-for-age race. 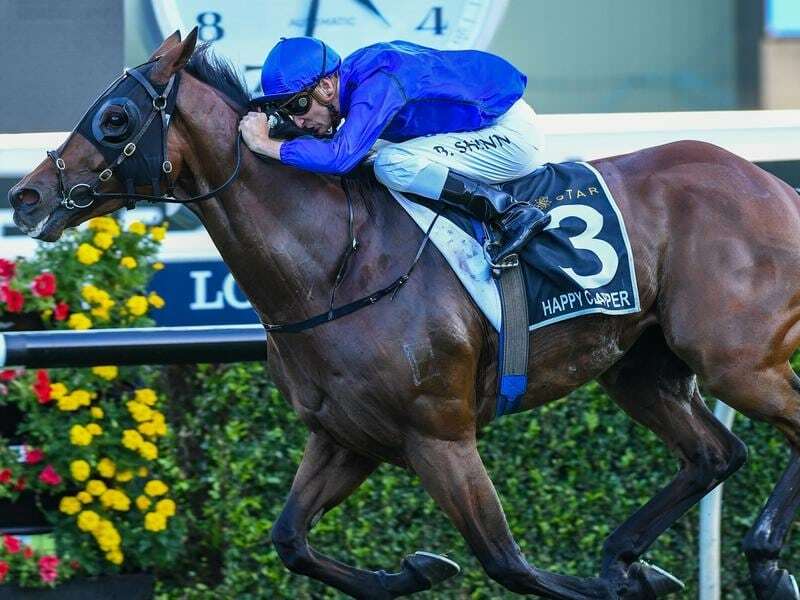 Happy Clapper claimed the Epsom Handicap and Doncaster Mile Group One double at Randwick last season over his pet distance of 1600m, while he also has three Group One seconds over that course and distance. The eight-year-old races over the Flemington 1600m on Saturday for the first time but has competed twice there over 2000m, including a second to Tosen Stardom last spring in a Group One weight-for-age race. “That’s his go, a mile,” Webster said. Happy Clapper is one of nine individual Group One winners in the field of 12 and Webster said he can’t fault the gelding since his unplaced first-up run in the Memsie Stakes (1400m) on September 1. Webster put that failure down to Happy Clapper not handling the Caulfield circuit in his first start there. “I’m really excited with the way he has done since that run,” Webster said. “But I’m paranoid about barrier draws. “He’s got 12 out of 12, but there’s not much you can do about it. “If he had drawn one, two or three it’s an entirely different story. You can jump out and you’re on the bit. Kementari was $3.60 favourite on Wednesday, shading last year’s winner Humidor ($4). Kings Will Dream was at $4.40 with Happy Clapper $6.50. Randwick Guineas winner Kementari, narrowly beaten by Humidor in the Memsie Stakes two weeks ago, steps to 1600m for the first time this preparation. “He’s the fittest he’s been this campaign and his work on Tuesday morning reflected that,” trainer James Cummings said.